I have had to have a home summer. For me, although a little restricting, it could be a lot worse. I love being at home. I have a never ending list of things I want to do and Damian and Lula are easy company. We can all be working away on separate interests and then come together for a drink and snack, or a game, we sit and chat and the animals come and join us. I was sad we failed to get away twice, once because of extreme weather and the second time because I couldn't travel. Labyrinthitis is a big PITA but has had some funny moments. Just one bottle of beer is enough to make me feel very drunk and whoozy but with no hangover and within an hour or so I am back to normal. Busy shopping areas are a trigger. I generally carry on regardless until I get on an escalator- not a good place for vertigo. My coping strategy is to focus as if I have tunnel vision so I have been up and down escalators staring at Damian's backside- as if my eyes are lasers and I am boring a hole. I have saved a lot of money on petrol and spent a lot of money on a sewing machine. I have changed my work patterns for the new school year-driving at busy times isn't possible at the moment, so I will have a little less money but but have gained a little more time. I have rested and taken lived life at a more gentle pace and there have been improvements. It will pass eventually and I just have to be patient. But in the meantime, home is a great place to be and I am extremely grateful for that. I love September. The lower sun, my birthday month and the change in colours are all welcome. Fancy a crafty tour around my kitchen? 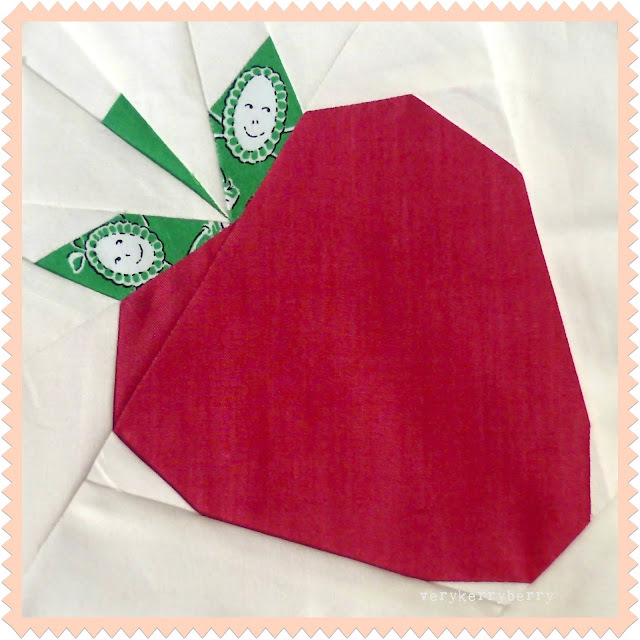 Click on to my latest post at Sew-Ichigo. Need a pattern? I have to give another mention to Penny's Latte-to-go with its cute gift card sleeve- free tutorial here and pattern on sale here. 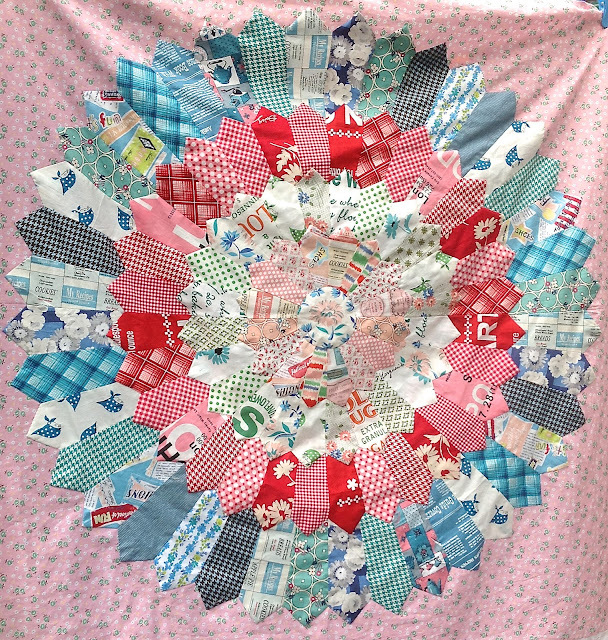 And Ayumi's deliciously tasty 'Dishy Treats' August block for her Superbuzzy/Pink Penguin Quilt-a-long. How does she do it? Each variation is such a clever mix of shapes. And finally, Leila's traditional Japanese style teapot pattern. I love the chunky heavy base on this pot! Bella Mountains and a giant fat giveaway! 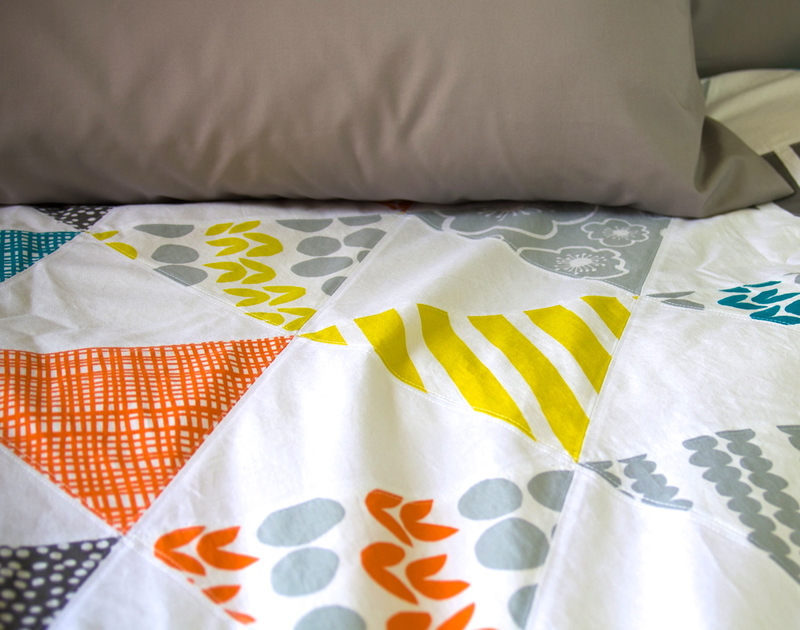 At last it is time to reveal a new free pattern for The Village Haberdashery, 'Bella Mountains' Duvet cover. 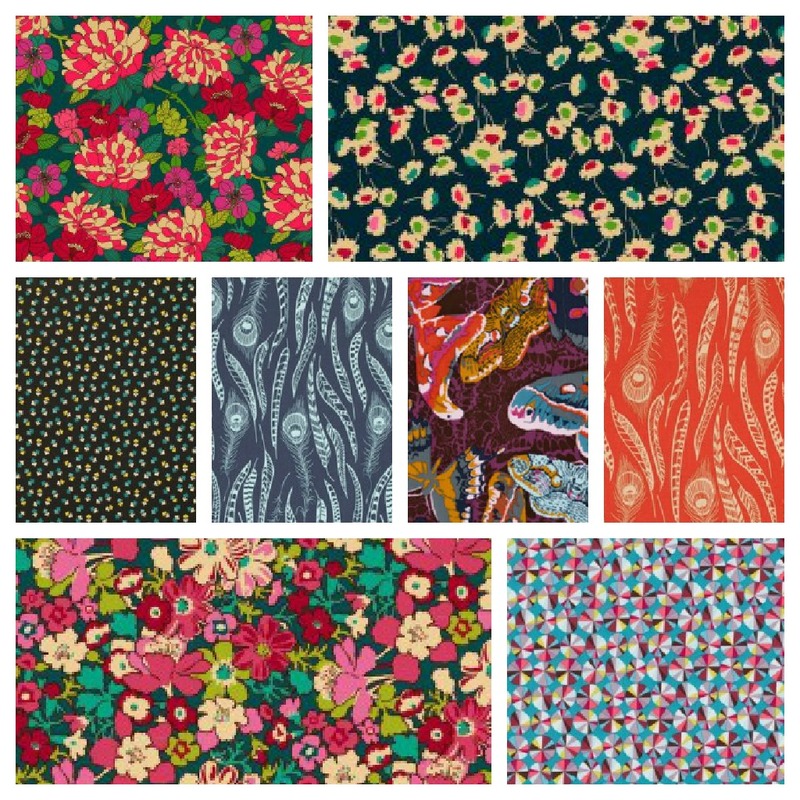 Annie contacted me a few months back with asking if I had any ideas for a project for Lotta Jansdotter's latest line Bella for Windham fabrics. I wanted to make something big, the patterns are bold and I wanted to capture that. And then I thought of a duvet cover. I struggle finding good quality cotton bedding which isn't either overly flowery or decorated with hideous scratchy stitching. 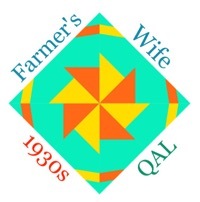 I must mention the influence of Marit here- her Wanna Tri posts on 60 degree triangle quilts really captured my attention and she is a great source of knowledge and tips. 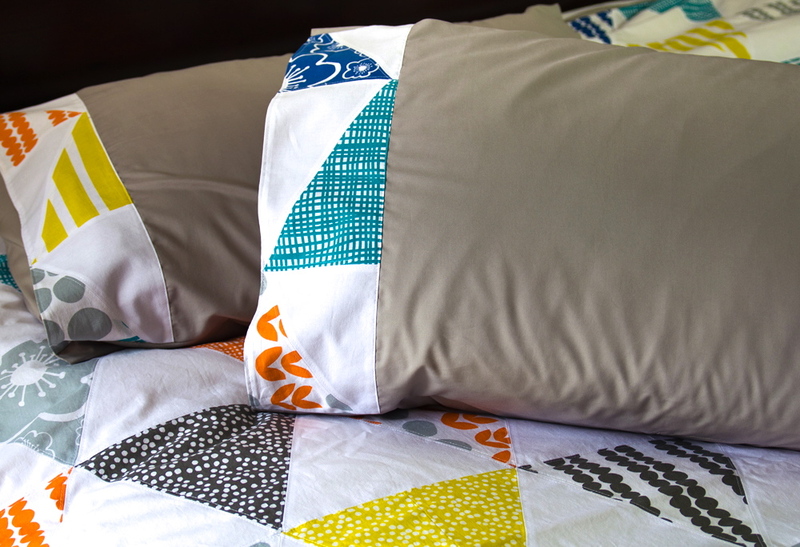 There is no waste in this project, only a few scraps left at the end and I used those up making matching pillow cases. 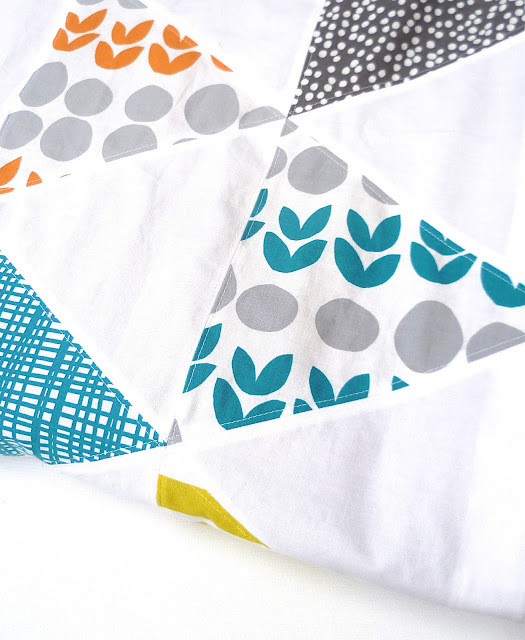 You could take this design a little further and use coloured solids instead of the Kona white- Annie has a list of colours that will match the Bella prints. 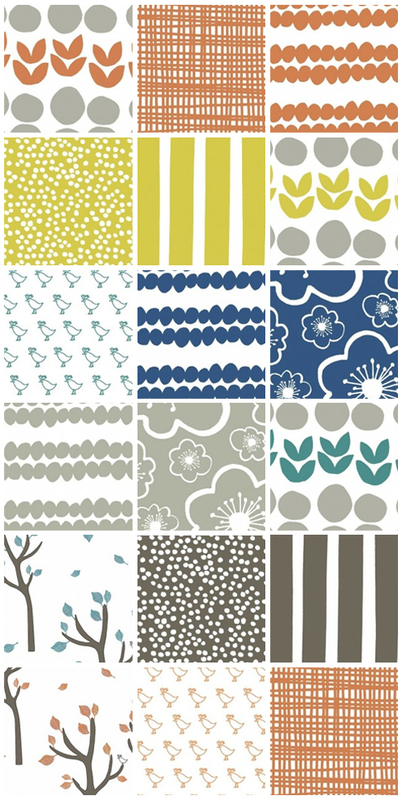 You can see the entire Bella collection here at The Village Haberdashery. Bella Mountains pattern is here. 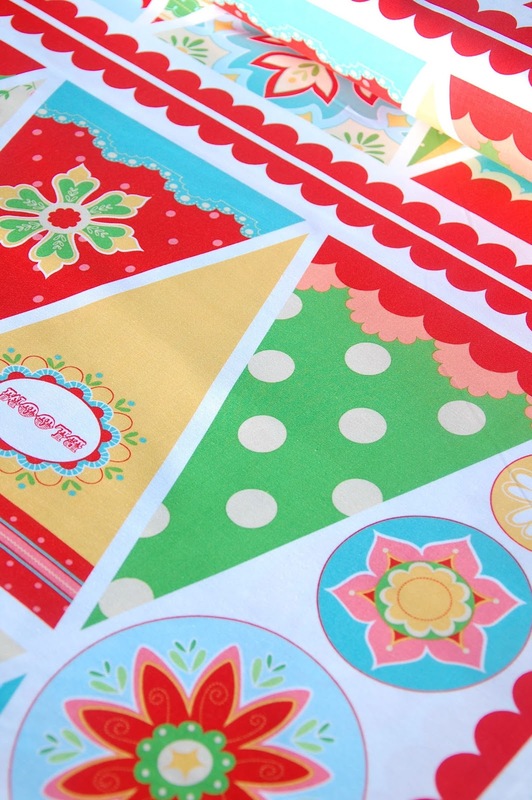 And now for the really exciting bit, a chance to win a great big fat FQ stack of the whole Bella line. A huge thankyou to Annie for such a generous prize! I've kept it pretty easy, all you need to do is tell me which of the Bella prints you like the best! The giveaway is open to UK and Europe only- sorry international peeps. Comments will close 6.00am Monday 3rd September. I will need your email address so make sure this is in your profile or your comment. Random number will pick and Annie will mail the stack direct to the winner! My sister in law just did her first machine sewing class and made a very lovely bag. She is now on the hunt for easy makes and as she has just announced the next niece or nephew is due in February anything with a baby focus is especially welcome. 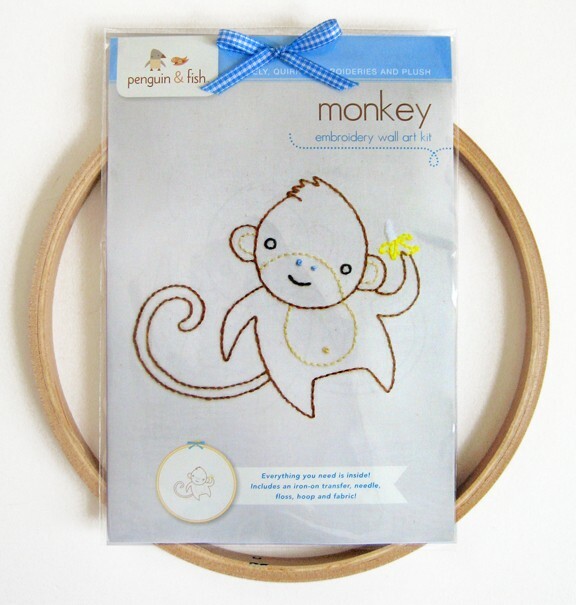 I had a little perusal through the many kits and patterns at Eternal Maker and this is what caught my eye with her, and other beginner sewers in mind. This bunting panel from Riley Blake is genius, talk about a quick fix! This could be good for an older child to make too. Once you have mastered a straight-line and reverse on the machine- by the way an old needle and lined paper is a good method for beginners learning to stitch straight on a machine-all you need to do is cut out and sew. A quick and easy way to add a homemade touch to room decor too. I am highly tempted by the lamsphade kit. I suspect no sewing in this! 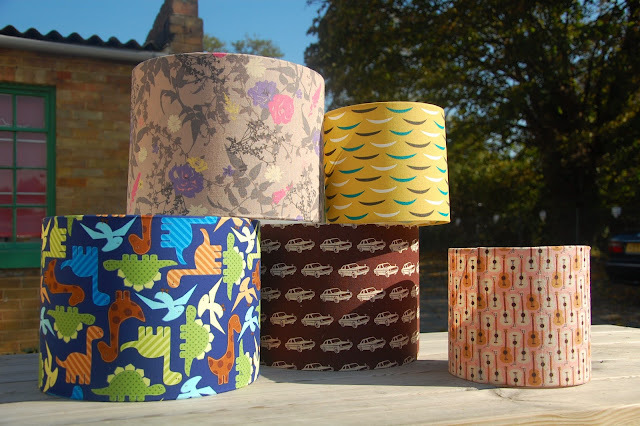 I used to be lampshades at Habitat in the sales and I find it hard to find patterns that I like so what better than to chose your own fabric and use the kit and make one. I have a feeling one of these it going to end up in my shopping basket very soon. Like every quilter, I am already thinking baby quilts, I loved making the last one for Sophia. You can never have enough mats and quilts with children. First to lie them and wrap them and then as snugglies, tents, table cloths, houses etc as they grow older, This Echino Playmat kit is the most basic shape and lets the fabric do the work. You do need to know how to put this together and bind but it is a good basic to learn with. 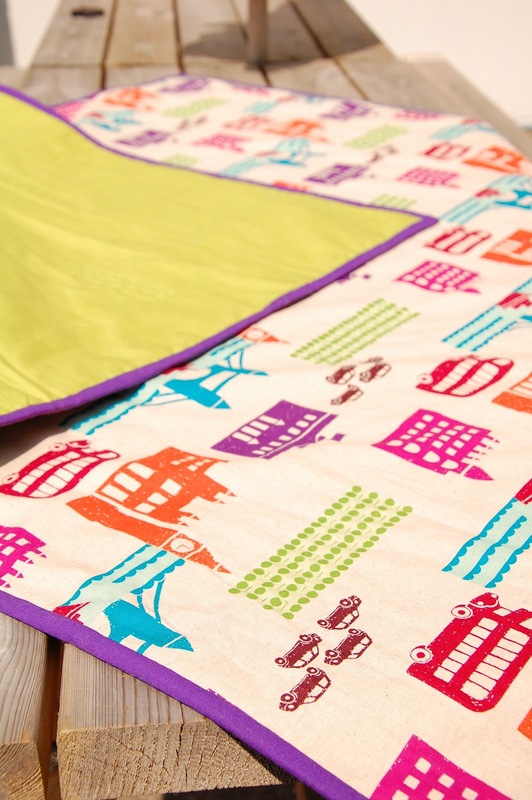 The bamboo blend batting is included for extra softness too! I love this! Great to welcome a boy/girl or to compensate the toddler sibbling for the attention deficit they are about to experience once the new baby arrives. Everything is included, it would make a really nice gift too. When Lula was born, large chunks of time were lost to feeding in the early weeks, I could have had this on the go instead of staring blankly at day time TV. I received a lovely bundle of Rubies from Oakshott fabrics (with a little help from Lynne). photo of this, The colours seem more exaggerated here on the bolts but it gives you an idea! The effect is a collection with depth that shimmers and put me in mind of ripening strawberries. This is the first summer that I have persuaded Lula to eat strawberries. It has taken twelve years for her to like them, but now she loves them and we have had a lot, although I don't think there can ever be enough. You get the idea! 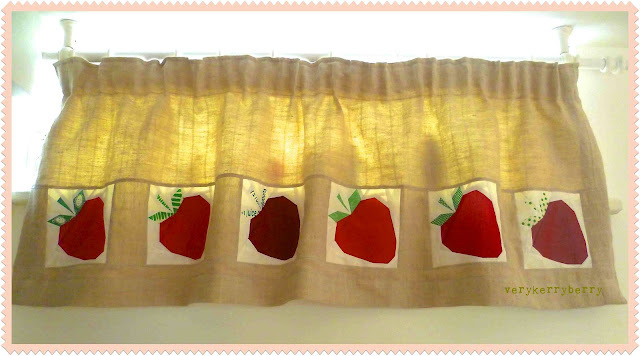 I made six, 6" blocks in all, enough make a curtain ( with a little sashing to space them out) for my skinny kitchen window. 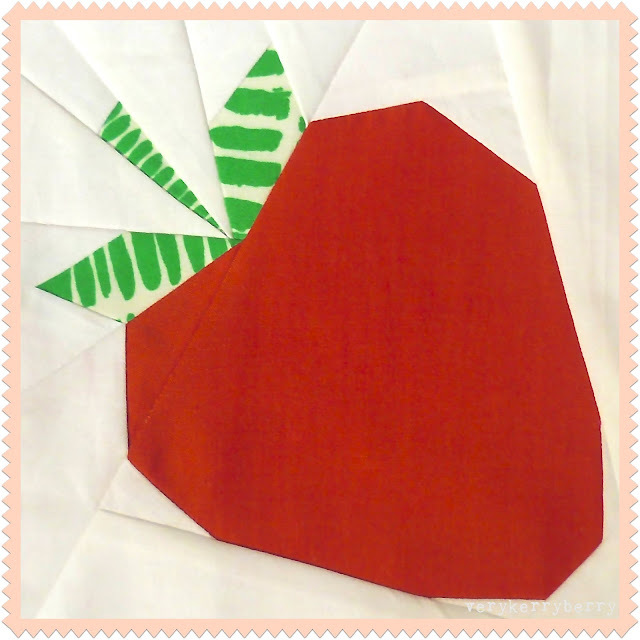 The strawberry is available as a pattern at Sew-Ichigo and at our Craftsy store and it is an easy one I promise! If you have done a little paper piecing before you should have no problems with this Penny and I designed our two latest patterns with beginners in mind! I have plenty left of Ruby Reds left and whilst going through my fabric drawers I found the perfect match, ruby reds and Farmdale by Alexander Henry. I plan a quick table runner with these- will report back and share how soon! Thankyou to Michael and the other folks at Oakshotts, they really are silky beauties! For an even more dramatic combination, take a look at Field Study with Liberty Lifestyle Bloomsbury Collection and Chicopee. I already have plans for all of these ranges. 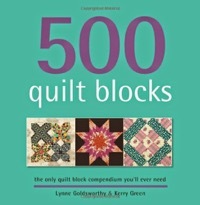 Clothing in Chicopee corduroy, paper piecing tiny things in Bloomsbury and quilting with Field Study. They are all rather autumnal but I can welcome that now, the colours looks so folksy warm and inviting! Annie is offering an early bird offer on the Liberty, find out more here. I made my collages using Pic Monkey, very handy for testing different ranges together! I am intrigued to hear what your favourite new range is? I always try not to get suckered in on new real eases, only to find I am still obsessed by a collection months later when it is scarce and I can't find all the prints! I have been given the opportunity to test some Art Gallery fabrics. 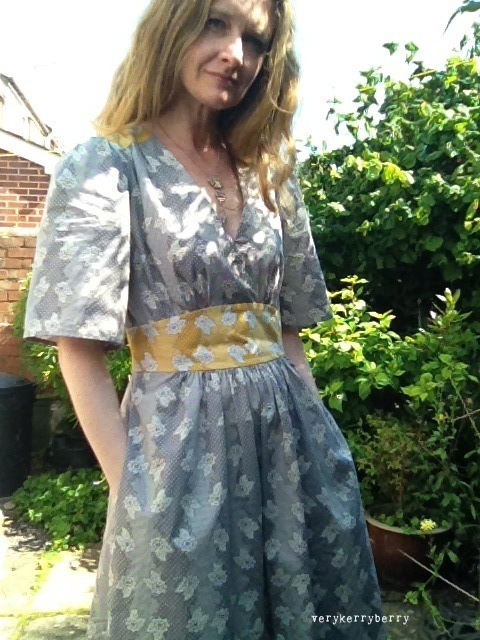 These are Henna Stripe in grey and mustard from the LillyBelle range by Bari J. 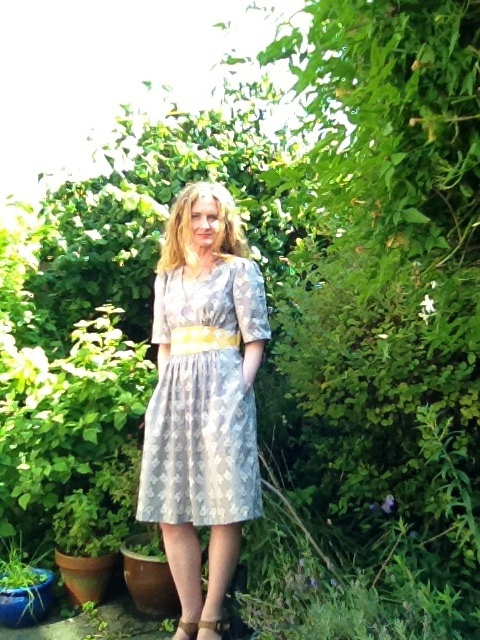 The fabric is the most beautiful tightly woven smooth cotton and I have found it ideal for dress making. I know quilt fabrics can be a little looked down upon for clothes. we are attracted by the lush colours and great patterns but the weave can be a little stiff and coarse especially for dresses that need some drape. 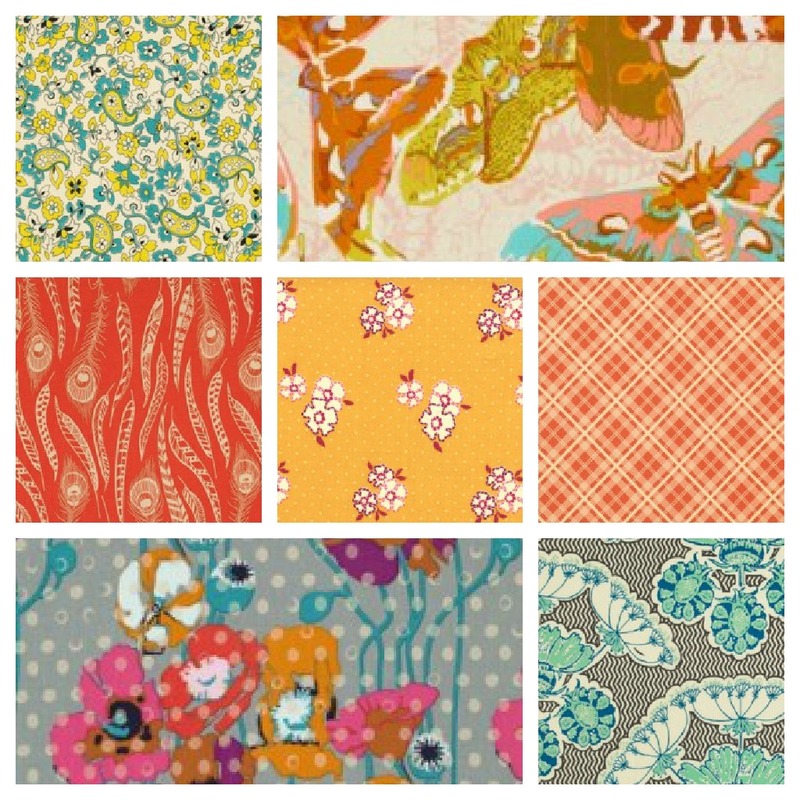 Art Gallery fabrics are perfect for dress making. The most brilliant feature is their handling. The closeness of the weave means that they do not fray easily. Some sections in clothes need a lot of handling and manipulation in the construction process- waistbands for example, and these fabrics can take it. This dress is Simplicity Cynthia Rowley 1801 not sure why mine has a different number but 1801 matches the Simplicity website. I especially like the skirt section of this pattern and it will be easy to make it again as a stand alone skirt. The fullness is around the front and back and the sides are smooth which on a pear shape body appears flattering. A skirt from this is my next clothes sewing project waiting in the wings. The top half would be better with a big bust. I am an A cup on a good day so lack fulsome chesticles to do this style justice. 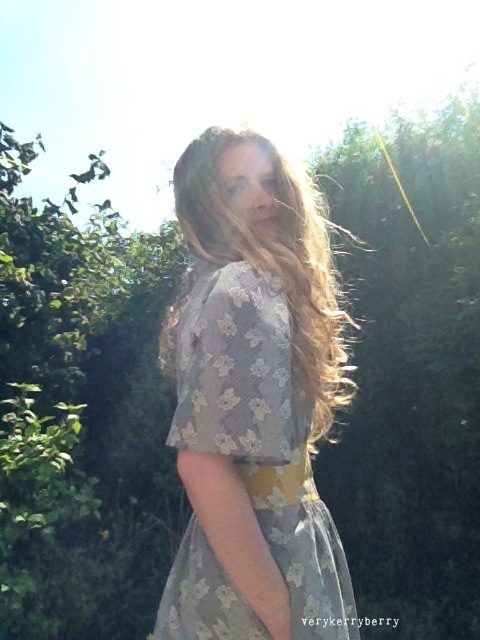 Come autumn/winter I will stick a skinny jersey top underneath it so it has practically year round wearing potential. I didn't line the skirt- it isn't see through and doesn't seem to need it. There is a facing on the neck and waistband so the inside is pleasingly neat and tidy. 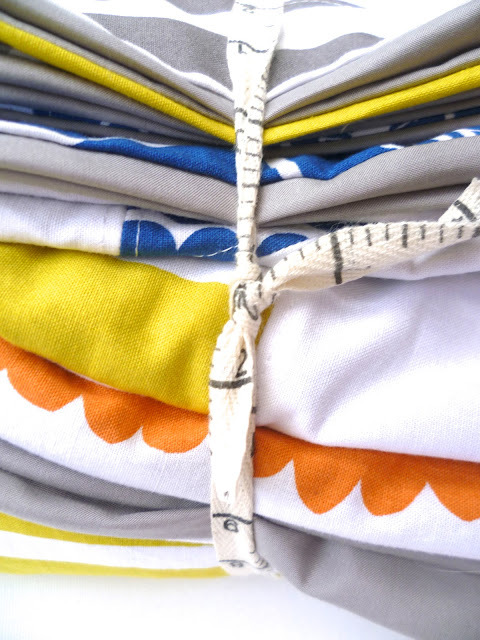 You all know how useful pockets are and a little contrast that can be glimpsed from time to time is the sort of detail that captures the fun of making your own clothes. You can add as many extra details as you like! 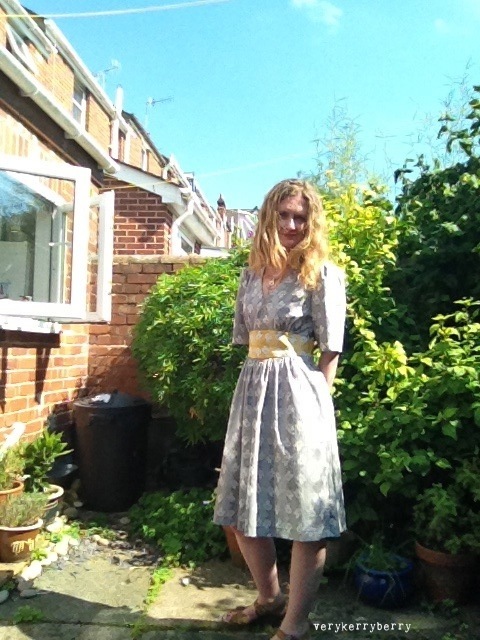 Like the Simplicity 2215 dress and skirt, this pattern has a side seam zip that runs into the pocket seam. The directions are particularly good on this pattern. Some little tips I tried on this pattern. The first I picked up at Coletterie- the Colette sewing blog, a wonderful place for tips! For the gathering, use three rows of gathering stitches- this sounds like more work but the evenness of the gathering actually makes it efficient sewing. 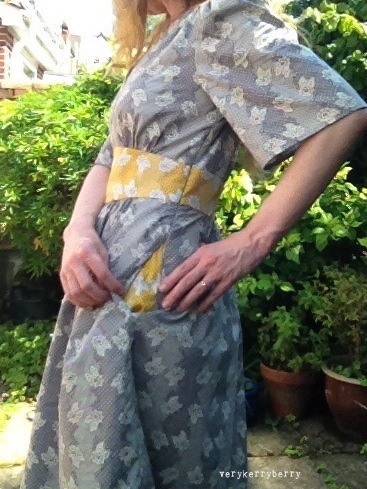 I also pressed the gathers before I sewed the seam. 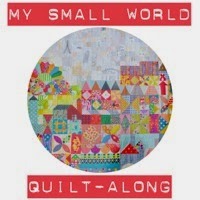 I read this on a sewing blog- forgive me I cannot remember where! It makes the gathers more stable in the seam and less likely to shift. The second is a few invisble zip pointers that I have found really help to make invisible zips look even and disappear. Before I pin the zipper, I mark a few pairs of pencil marks down the reverse of the tape. They help to make sure the fabric matches up on either side of the zipper line- important for the contrasting waist band on this dress. I also sew a line of contrasting large stitches in the seam line where the zipper will be inserted. This acts as a guideline to help me keep the zipper in exactly the right place when I sew it with the invisible zipper foot. You can see the ridge next to the zipper teeth where the final stitches attach the zipper to the seam lying over the red stitches. You can see the same thing here as the zipper foot holds the teeth coil. And the finished seam here is ready to have the red stitches pulled out and the teeth are definitely on the seam line. Coletterie posted an invisible zipper video which is a great learning tool if you haven't sewn and invisible zip before, These are my favourite form of zip and I would hands down sew one of these over a standard zip but don't even consider doing it without and invisible zipper foot. My final tip is to have a piece of paper ready to write alterations on so next time you make the pattern you will remember the little changes. I made the V slightly less deep- I reduced the seam to 1/4" instead of 5/8" as my party bags are not as jam packed as they used to be! I didn't want too much xylophone rib chest on display. I also lengthened the skirt by 1 1/4". I made a UK size 10 and it was a good fit. 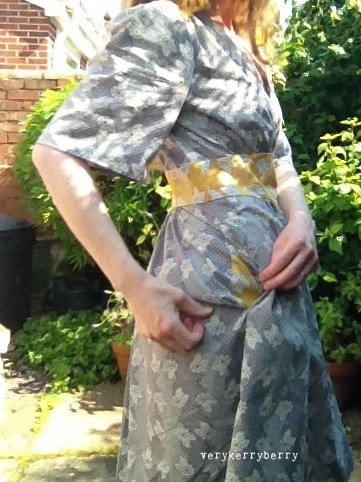 I checked the waistband first rather than make a muslin and this is a great way to give a skirt or the skirt pattern of a dress and quick test for fit. In this shot I am not trying to look like a poseur I promise. Working with a timer app and my ipad these photos are a little hit and miss. I must have taken 30 to come out with these ones! Oh sun, where are you now?